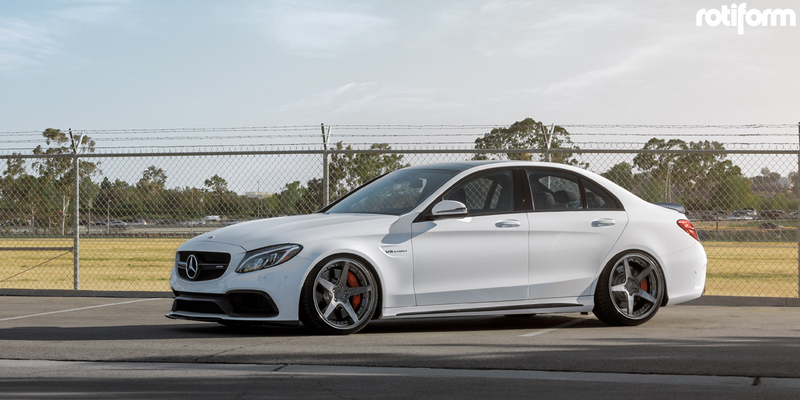 This Mercedes-AMG C63 S is Muscle on Rotiform Wheels! Time to put down the hammer! The Americans have always ruled the muscle car market while the Germans have the title of driver’s cars. However, it’s Mercedes-Bez/AMG that have the ability to blend both worlds with their high-performance cars, and the Mercedes-AMG C63 S is the perfect example. This bad boy isn’t just sporting a force-fed V-8 engine but it’s also packing a fresh set of Rotiform wheels to boot. 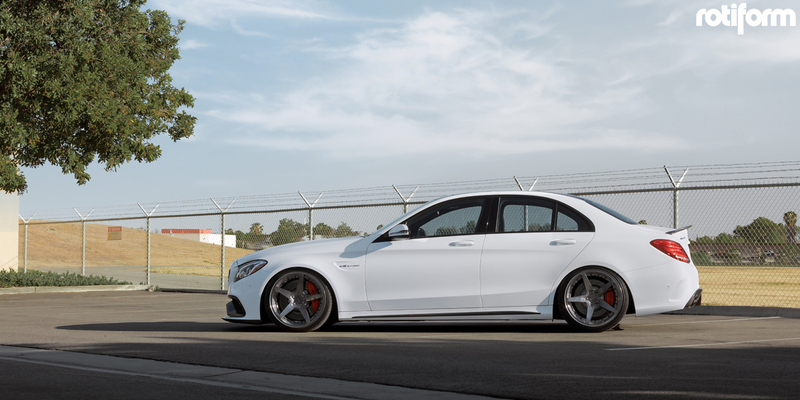 The Mercedes-AMG C63 S is a German muscle car that’s more than able to serve up some solid driving dynamics for those trips to the Nurburgring Nordschleife. Under the hood is a new twin-turbocharged 4.0-liter V-8 engine that pumps out a whopping 503 horsepower and 516 lb-ft. of torque to the rear Rotiform wheels in the “S” form. That’s sent through a 7G Tronic Plus automatic gearbox to the rear axle, rocketing the sports car to 62 mph from rest in 4.0 seconds and hits a top speed of 180 mph. 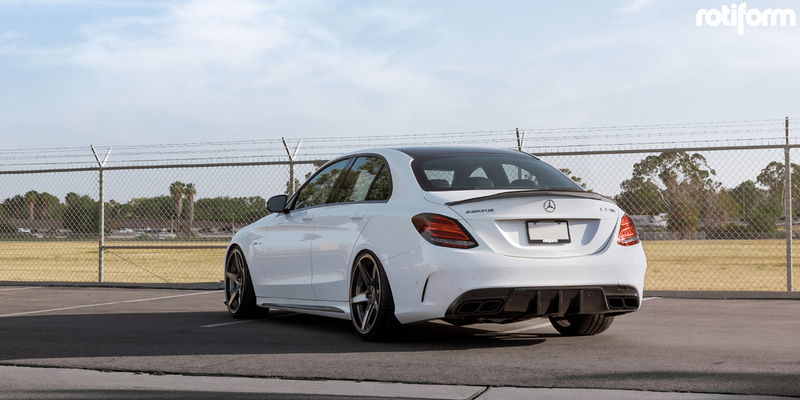 This White German sports sedan also benefits from a few new aerodynamic goodies in AMG form. Up front, there’s a new fascia with carbon fiber intake surrounds, splitter, and spoiler. A new spoiler sits atop the trunk while a diffuser integrates the beefier exhaust system. There’s also a lower ride height that sets the new Rotiform wheels right beneath the fenders. 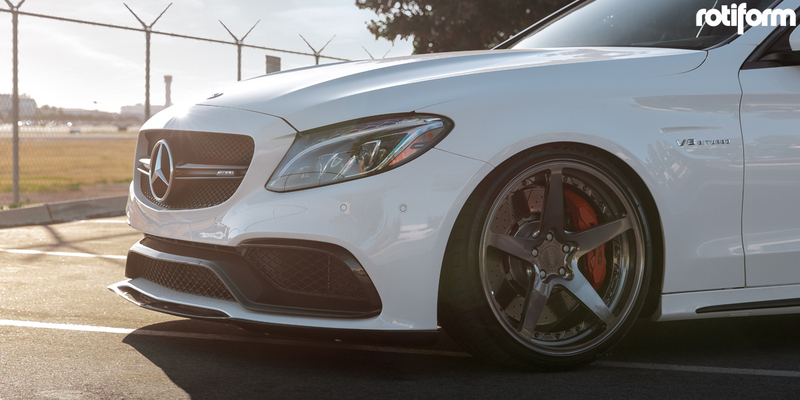 This Mercedes-AMG C63 S was outfitted with a new set of Rotiform WGR rims. 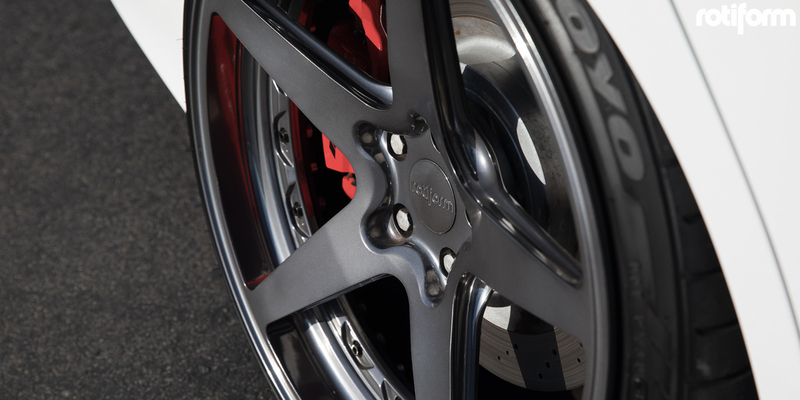 These WGRs have a classic five-spoke design with a multi-piece construction and concave profile that adds a complex look. 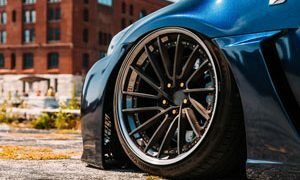 At the front and rear, the new Rotiform wheels measure 20 inches in diameter and sport a smooth Candy Black finish that reflects light in a unique way, making them appear brighter in certain light. If you’re looking for a sports car that can throw down the power and slice corners, than this Mercedes-AMG C63 S with Rotiform WGR rims is the perfect choice. Speed off in this Lexus IS F with Rotiform wheels! Get Ready with this RAM Rebel on Fuel Wheels!